Apple’s iPhones had first brought facial recognition systems to the mainstream with their face-recognition based unlocking feature. Now an Indian company is looking to apply the same idea to its own area of expertise. Paytm has said that it’s testing out a facial recognition-based payments system. For now, it has developed a system which unlocks its app through digital facial recognition. The new feature will allow users to log into the Paytm app with their faces alone, and appears to be in a fairly advanced stage of development, because it’s already being tested out by its employees. “We have already started testing the face recognition tool among our employees. Once live, Paytm users will be able to log into the app by simply looking at the phone,” a senior Paytm executive told ET. The facial recognition system works on Android phones, and will soon be rolled out to all users. The feature could come in handy for thwarting phishing scams — several Paytm users in the past have had their passwords stolen through fake phone calls and the like, and a security system that requires facial recognition, in theory, would seem harder to break. Paytm says it will be using advanced techniques to ensure that the facial recognition system is robust. It will check for users’ eye whites, which is a recognition of whether someone is alive or dead. The app will also make the customer blink to ensure that they’re themselves staring into the camera, which will help prevent against someone opening your app by simply showing your phone your picture. Thus far, Paytm is only using the technology to open its app, but is open to exploring other use cases, including entire payments made through facial recognition alone. The company also seems to be planning to bring its facial technology offline, with executives exploring devices that can be installed at merchant locations which will have facial recognition capabilities. “There are devices available that can be used as an integrated terminal for placing orders as well as making payments, and the device is capable of reading the face of the customer to authenticate the transaction,” a senior Paytm executive said. It appears that it’s the moves from its competitors that have promoted Paytm to once again move the needle on payments in India. Until not too long ago, Paytm had been the undisputed leader in the sector, and seemed poised to capitalize on the early moves it had made over the past few years. But several other players have entered the space with a vengeance — Google Pay is now aggressively promoting its payments product, and PhonePe has not only leapfrogged Paytm to become India’s top UPI app, but is also swiftly developing offline presence. 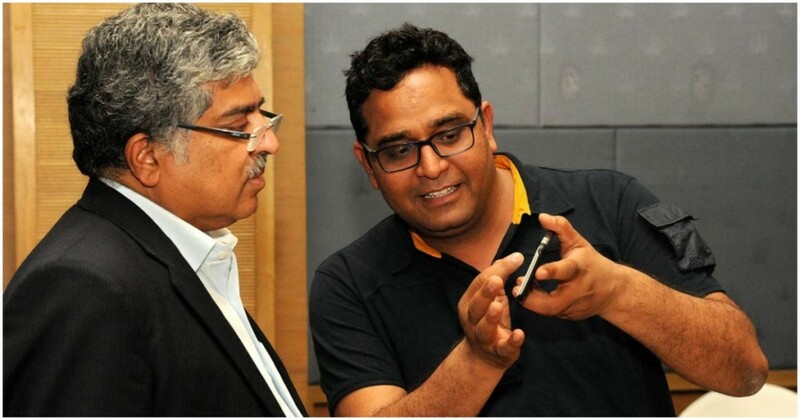 Paytm now needs to come out with a product that will once again that will help it stand apart from its competitors. If it can release an update that significantly reduces the friction of making payments, it could well wrest back the market share it’s lost to other players. It’s too early to tell if this facial recognition feature would be enough, but it sure seems to be a step in the right direction.